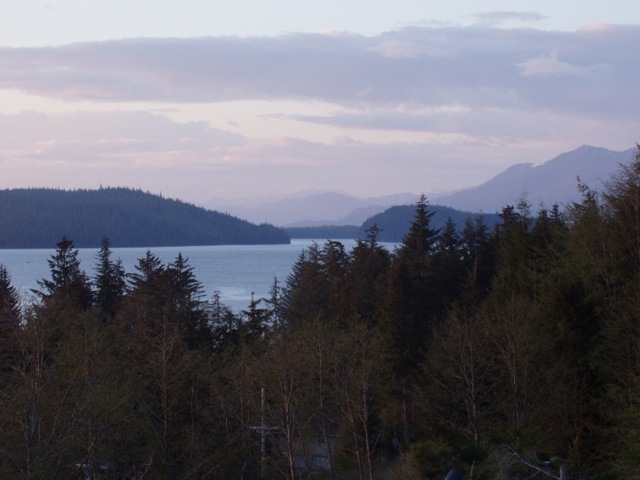 Ketchikan is a keeper! 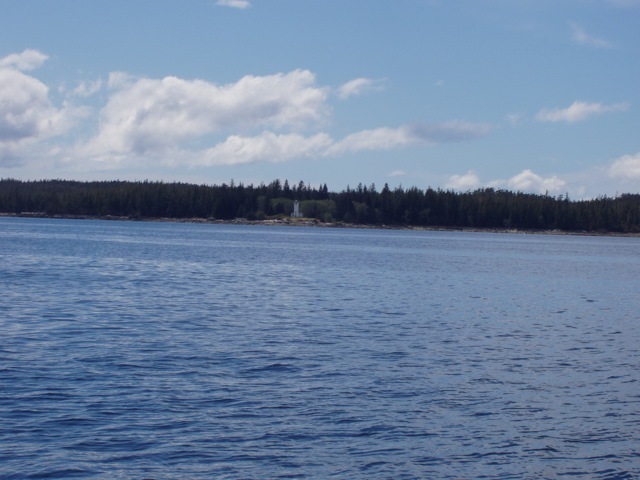 Our friends were just wonderful to us: they fed us gourmet meals, put us up for several days, let us do laundry and allowed us to use a vehicle. Thank you very much for your warm hospitality Kathleen, Bill and Seymour the dog. 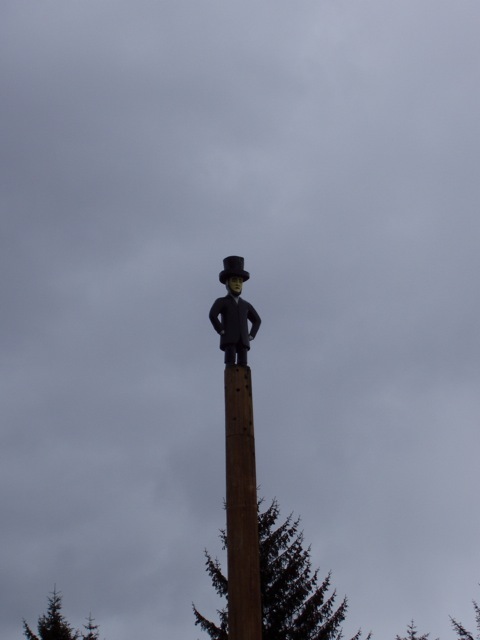 We visited the old Tlingit town of Saxman to see the best collection of totem poles in the world. The information plaque is included for reference. 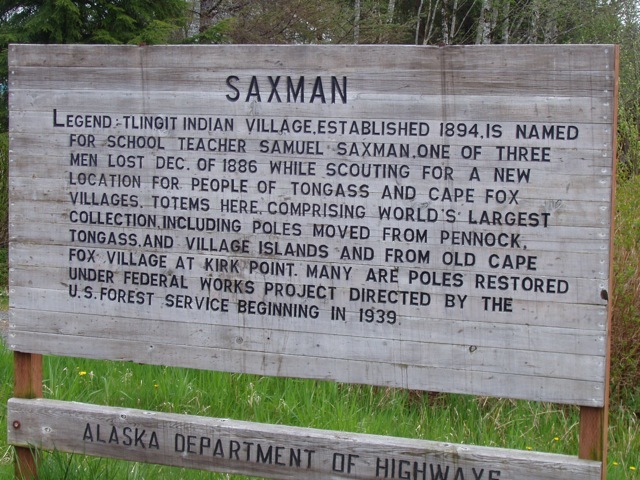 The information plaque at the entrance to the small Saxman totem park. 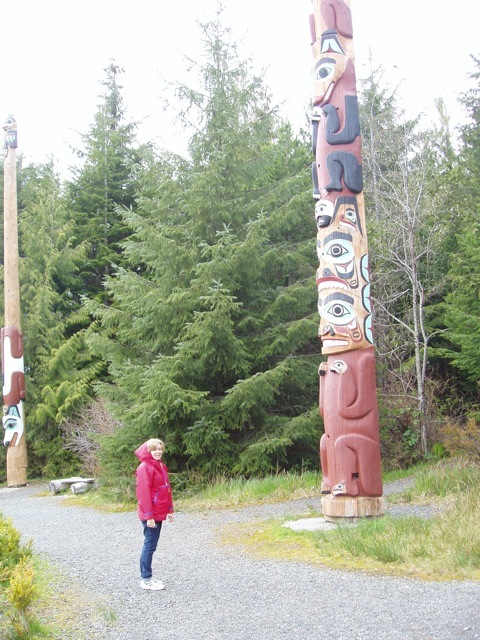 Conni and totem. Conni is on the left. Bill at the tribal house. 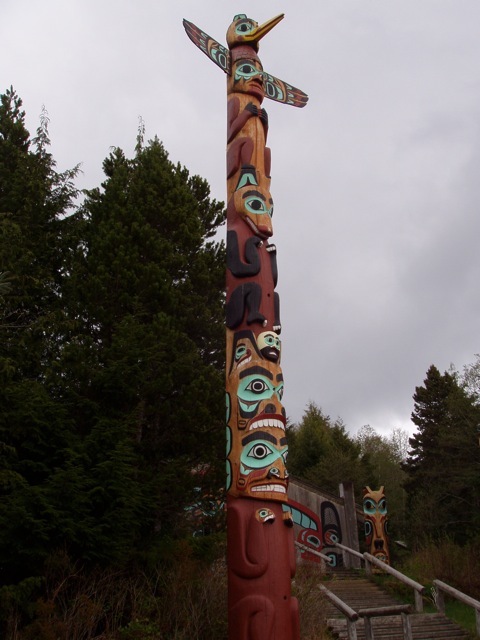 We are told that this is a Haida totem because of the way the wings protrude. 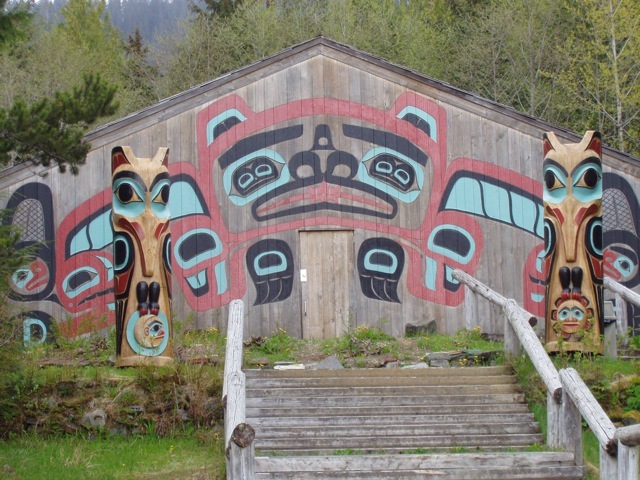 A potlatch is a celebration of great importance to the Northwest Indians. Three potlatches were given in honor of William H. Seward in 1867. 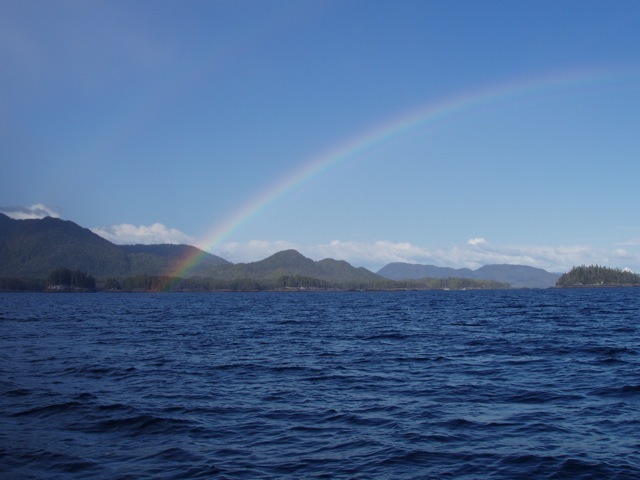 By tradition, the recipient or honoree of a potlatch must return the favor. Seward returned none of them. 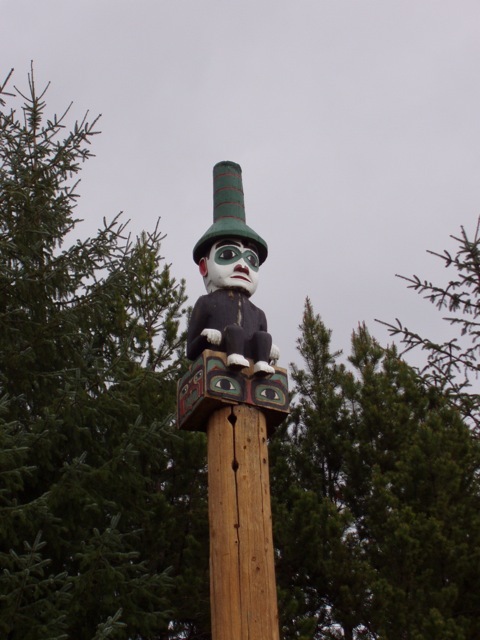 The Tlingit were unimpressed and made this totem featuring Seward with a white face and red (embarassed) nose and ears, to permanently shame him. 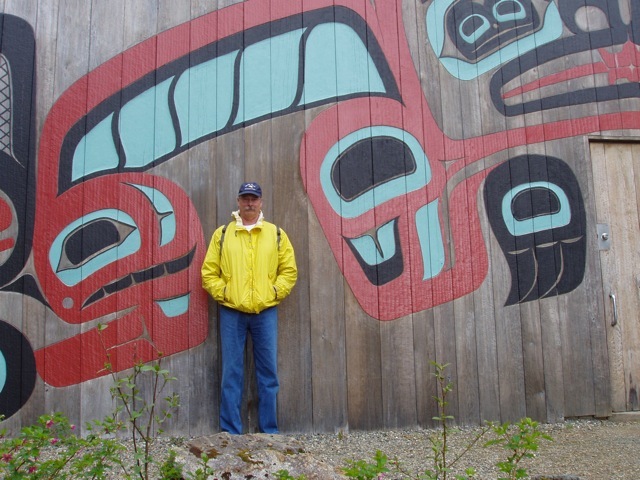 Tlingit people wanted to honor President Lincoln, but had only a small waist-up photo from which to work. His short legs were the result! 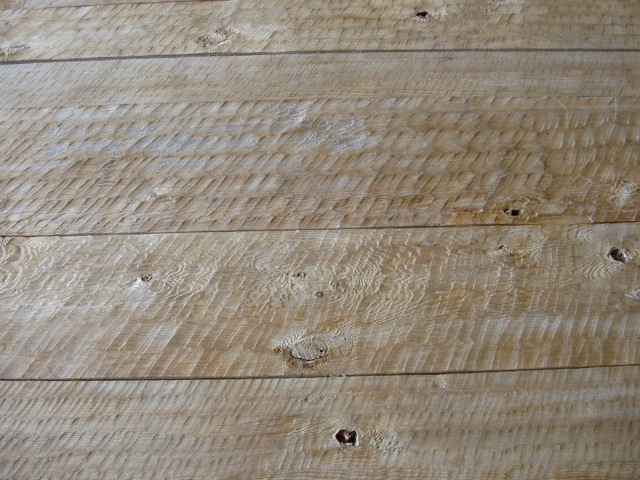 Hand-adzed planks in the walls of the tribal house. 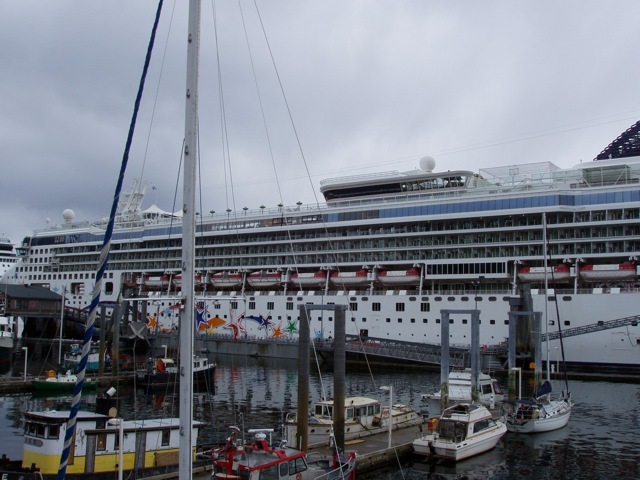 Wings (end of the dock, center right) in the Ketchikan City Harbor is dwarfed by the cruise ship. Clover Pass from the Carey/Rice deck. Lovely! 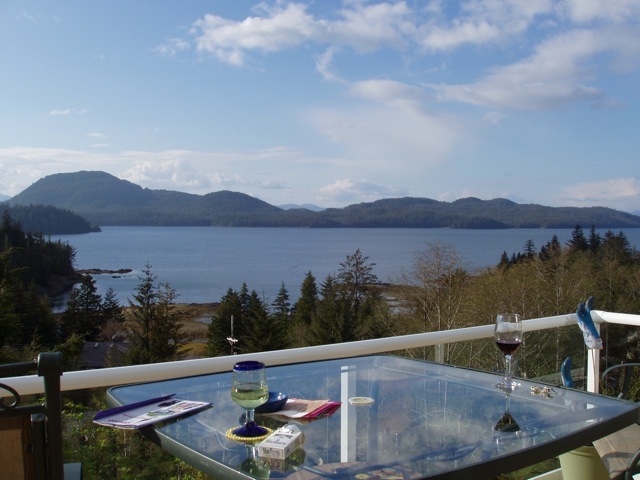 Whales frolicking as seen from our friends' gorgeous deck. 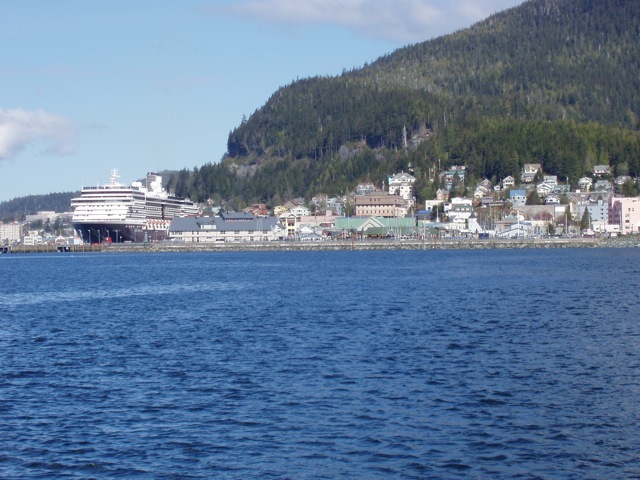 Yes, sometimes it's sunny in Ketchikan. 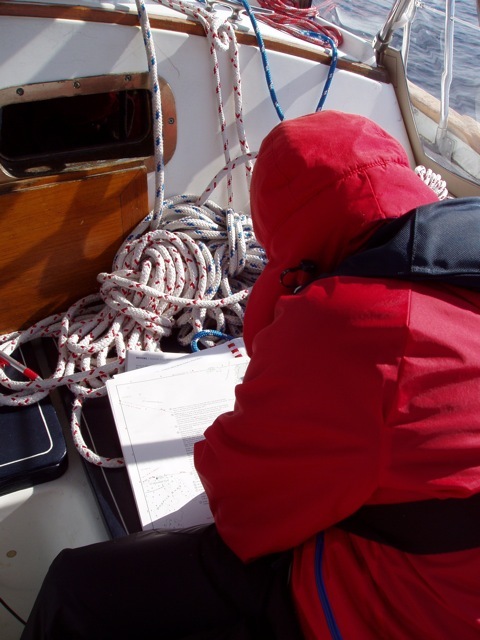 A bundled-up Conni studies charts. Early May, but it's still chilly. 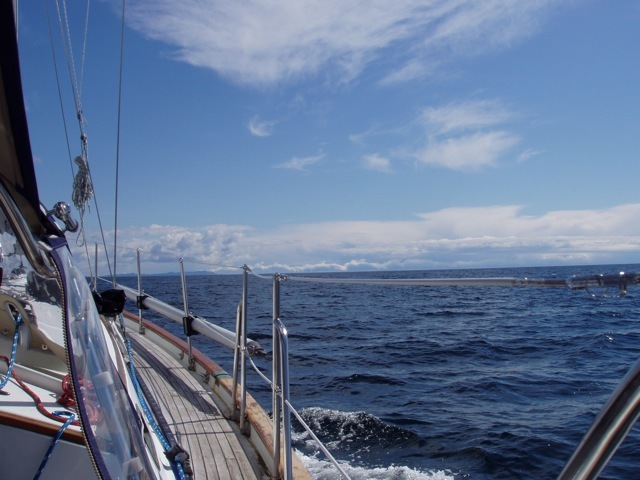 The dangerous Dixon Entrance giving us a gentle ride on our crossing day. It could have been MUCH worse!